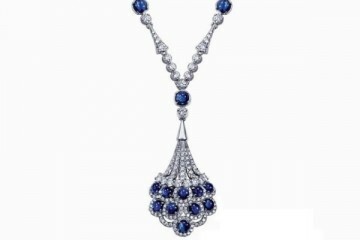 Larry Jewelry’s latest Larry Legend collection celebrates the glamorous golden age of Hollywood. The Larry Legend: Golden Glamour collection is inspired by the essences of 1930’s legendary fashion and style icons. 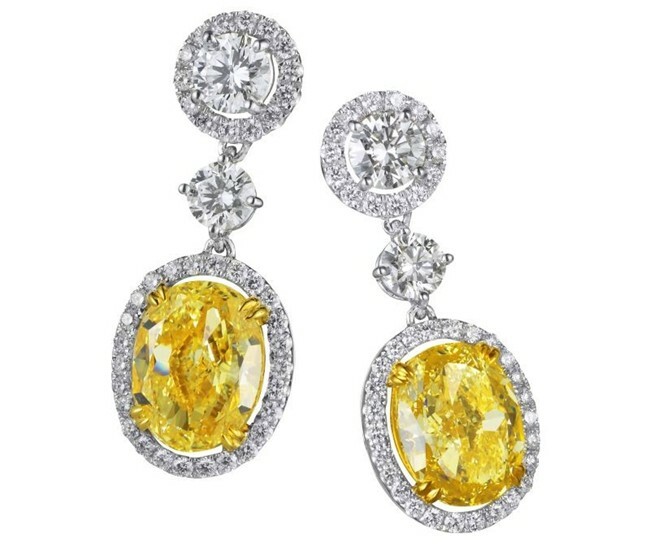 The new collection is centred around vibrant fancy yellow diamond jewels and highlights the classic extravagance of the iconic era. The collection includes three different series of jewelry – Audrey, Elizabeth and Marilyn. Off the silver screen and on the red carpet, starlets have adorned amazing pieces of dazzling jewelry that have captured the attention of many. With a total of six stunning pieces of jewelry (two from each series), the Larry Legend: Golden Glamour collection emulates the legendary elegance and beauty of the 1930s. 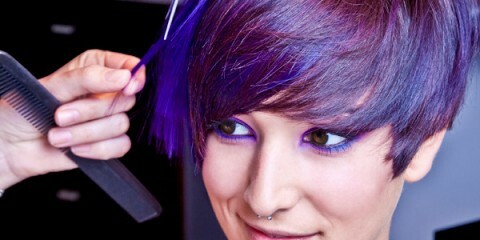 The Audrey series is designed after Audrey Hepburn – regarded by many as the most naturally beautiful woman of all time. 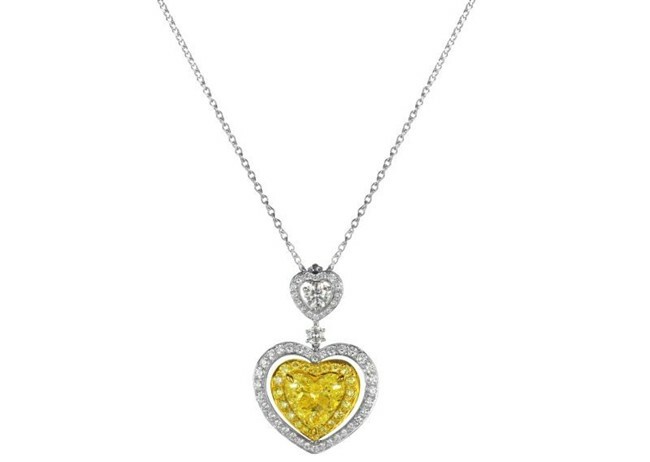 The series includes a pair of earrings with two oval-shaped fancy yellow diamonds (totalling 8.33 carats) and 84 round clear diamonds (totalling 2.21 carats), a necklace with one heart-shaped fancy yellow diamond (3.73 carats), one round diamond (0.32 carats) and 71 round fancy yellow diamonds (totalling 1.27 carats). Featuring two exquisite rings, the Elizabeth series pays homage to none other than Elizabeth Taylor. 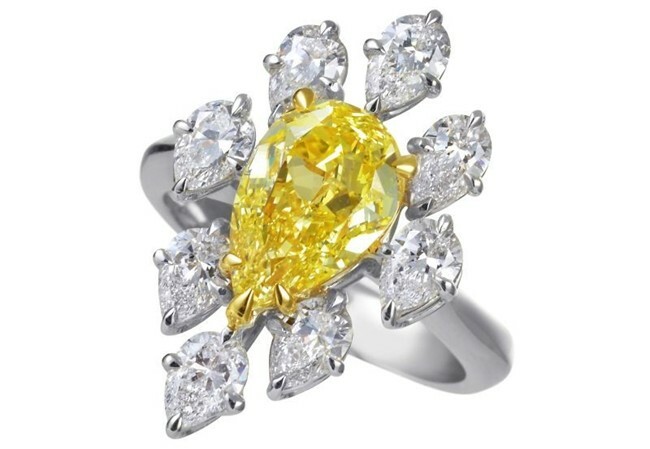 One ring boasts a radiant-cut fancy light yellow diamond (3.02 carats), four marquise diamonds (totalling 1.00 carats), four pear-shaped diamonds (totalling 0.94 carats) and four round diamonds (totalling 0.70 carats). 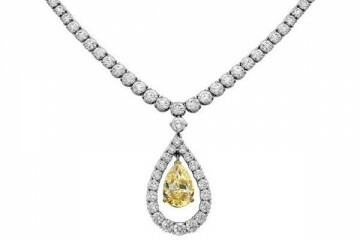 The other ring has a pear-shaped fancy yellow diamond (2.38 carats) and eight pear-shaped diamonds (totalling 1.64 carats). Finally, the Marilyn series captures the beauty and appeal of Marilyn Monroe with a pair of earrings and a ring. 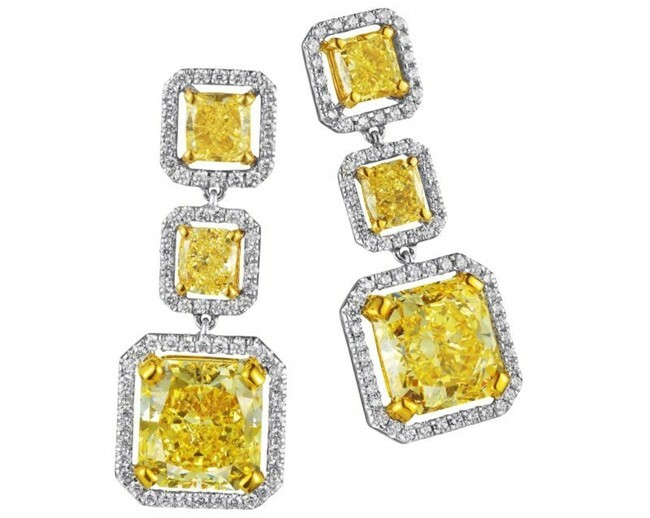 The earrings are set with two radiant-cut fancy yellow diamonds (totalling 8.16 carats), four cushion-cut fancy yellow diamonds (totalling 2.60 carats) and 148 Round diamonds (totalling 0.73 carats). 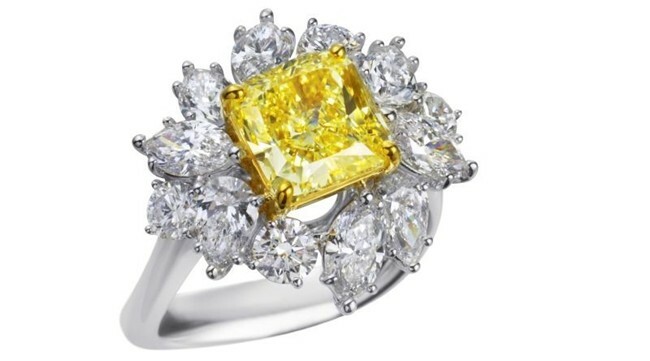 The ring features an emerald-cut fancy yellow diamond (7.88 carats) and two emerald-cut diamonds (totalling 1.65 carats).